We represent people who have been injured because of the improper service of alcohol. Dram shop laws provide that taverns, bars, restaurants, nightclubs, country clubs and other licensed sellers of alcohol can be held liable for injuries caused by their irresponsible serving and/or selling of alcohol. Dram shop liability can also extend to certain private social events hosted by individuals and may extend to assaults committed by inebriated individuals. When accidents and injuries caused by intoxicated individuals involve other liquor law violations, such as serving alcohol to minors, serving alcohol after hours, or serving alcohol without a license, there may be additional damages available to the victims. Serving alcoholic beverages comes with great risk but even greater responsibility. When this responsibility is ignored and results in harm to you or your family, we will fight for you. We know that alcohol-related accidents can be disruptive and life-changing. Our lawyers and staff are ready to assist you as you recover from your pain and suffering, monetary losses and medical expenses. If you have been injured by someone who was drunk, you may have a claim against the establishment or person who sold or provided intoxicating beverages to that person. Call Aversa & Linn for a free initial consultation at 215-751-1717. 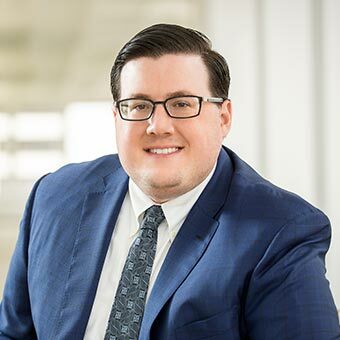 Six-figure recovery for client who was overserved while visibly intoxicated and subsequently was involved in a serious car accident that resulted in significant bodily injuries to him and his passenger. Six-figure wrongful death recovery for the estate of an individual who was continually served alcoholic beverages after showing multiple signs of intoxication, and who later died in a single vehicle accident. Six-figure settlement for parents of an underage patron at a nightclub who was served while visibly intoxicated and later died in a fatal head-on collision with another vehicle on the highway. Representing motorcyclist who sustained severe brain injuries from collision with a drunk driver who made an illegal turn while traveling from a nightclub where he was served while visibly intoxicated. Every day, 28 people in the United States die in motor vehicle crashes that involve an alcohol-impaired driver. This is one death every 51 minutes.